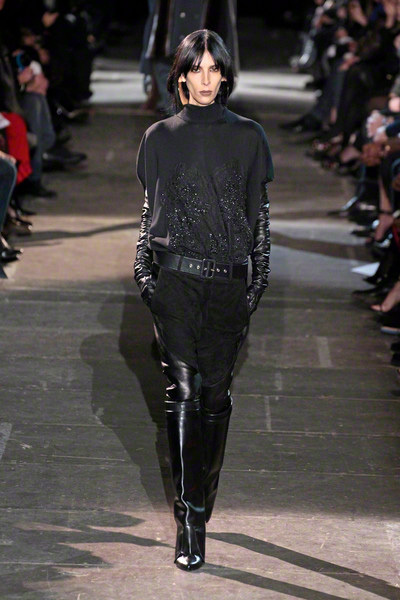 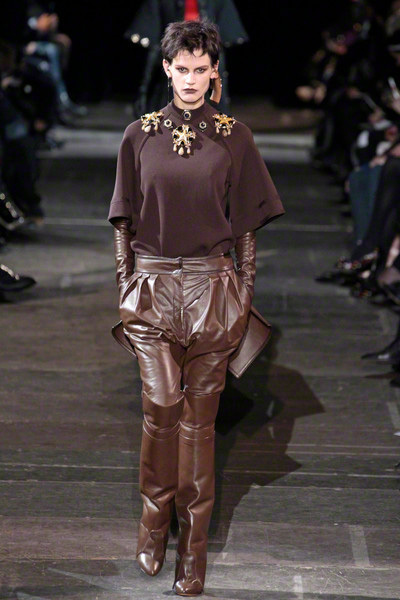 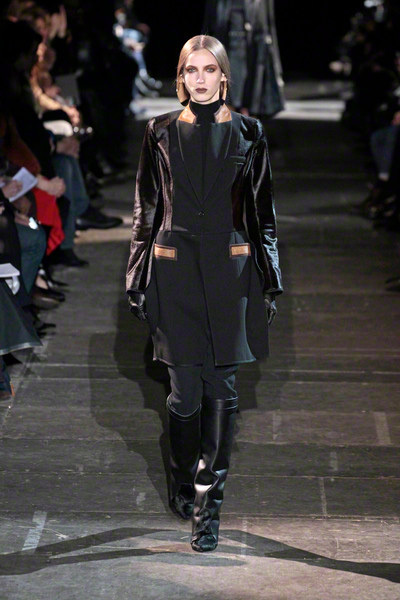 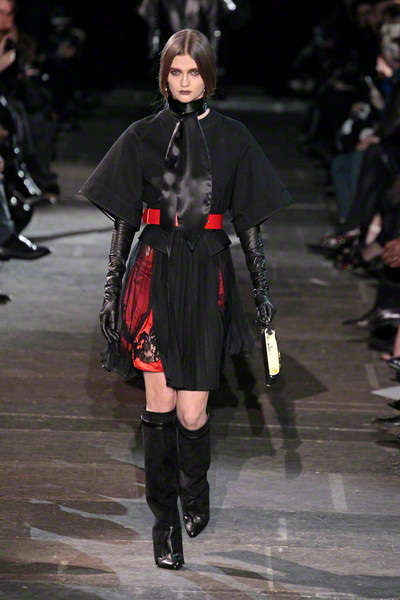 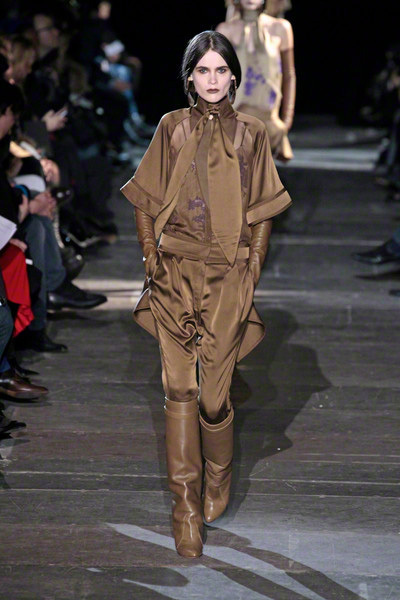 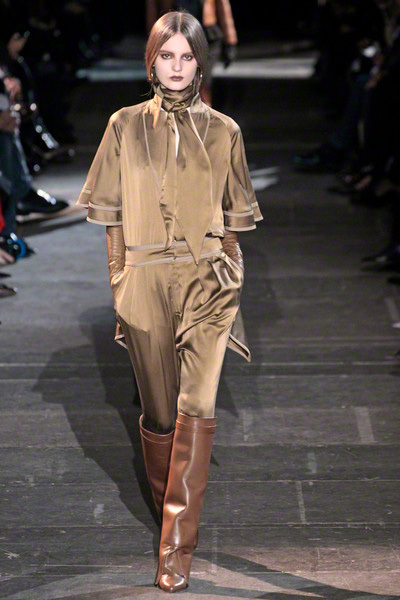 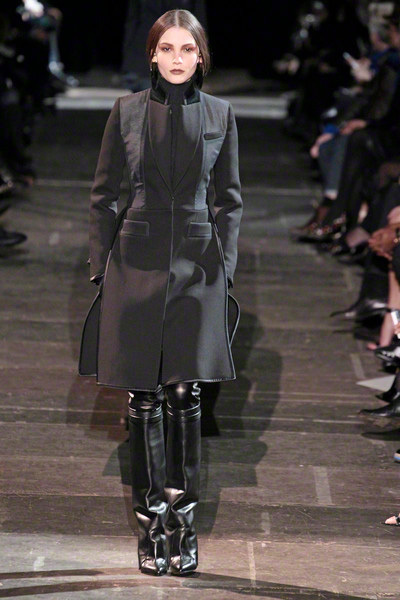 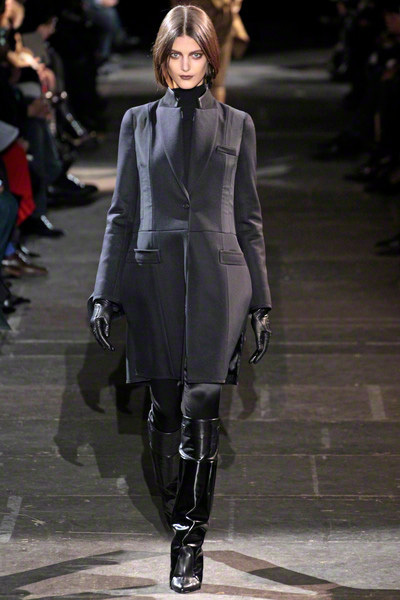 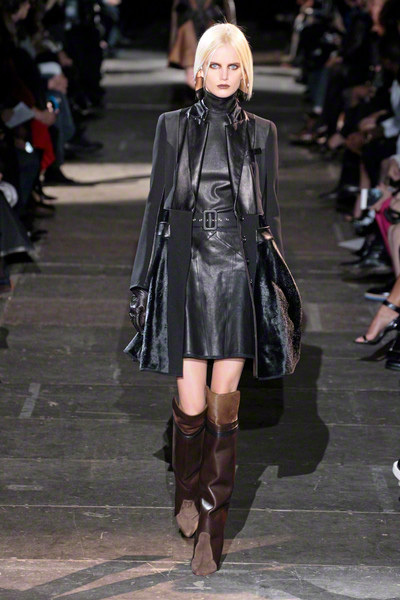 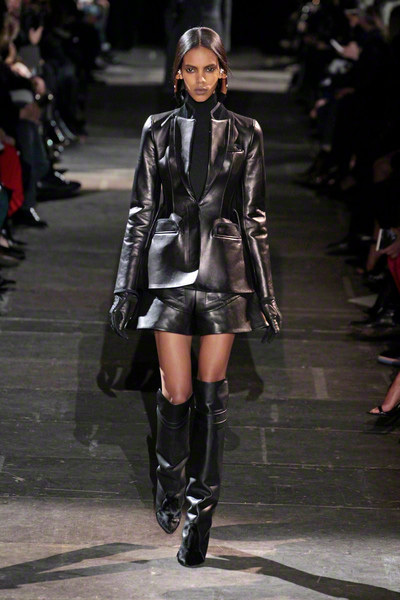 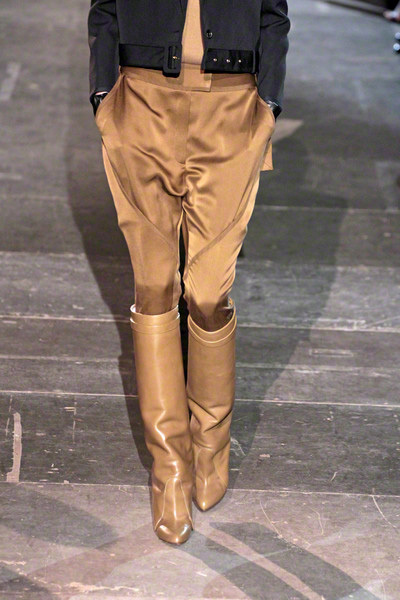 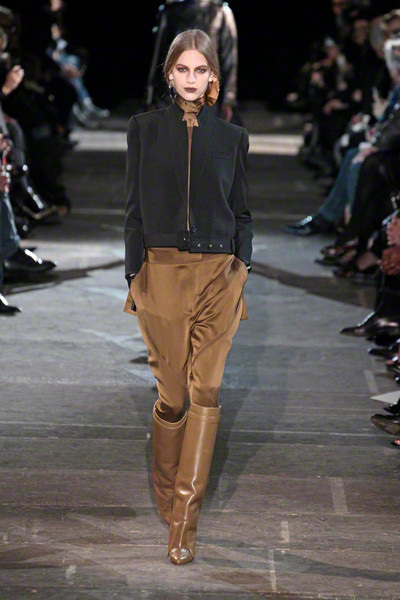 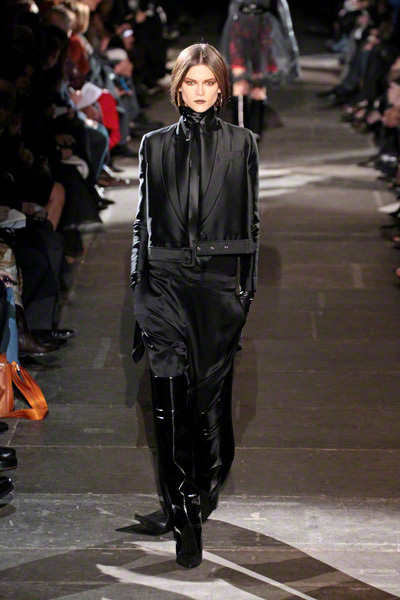 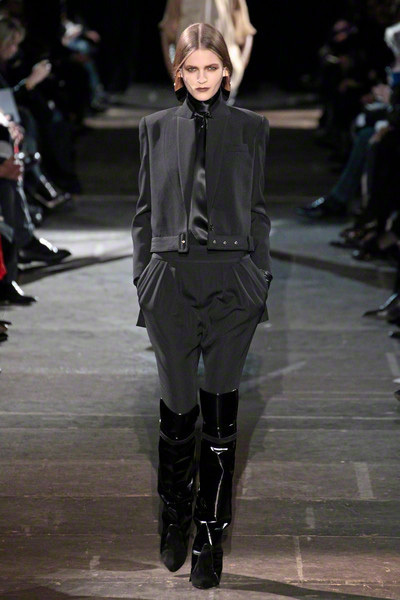 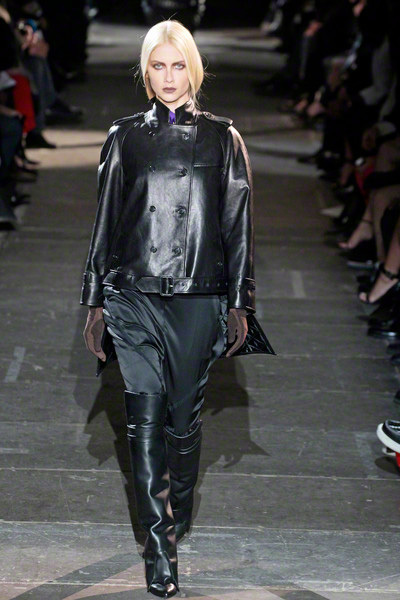 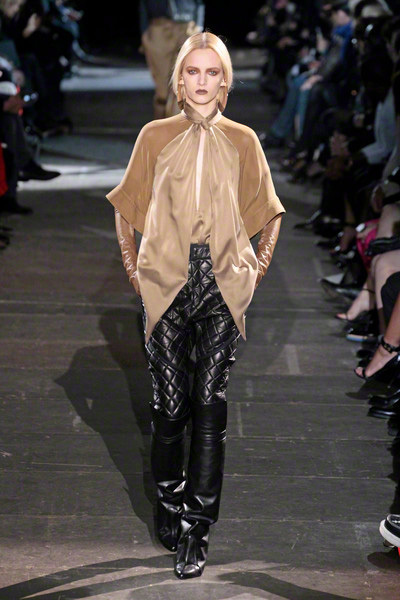 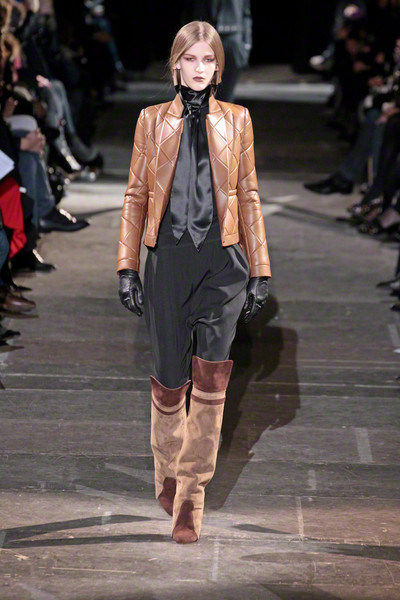 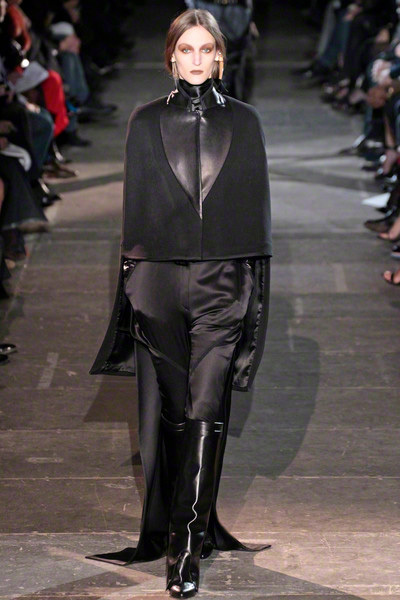 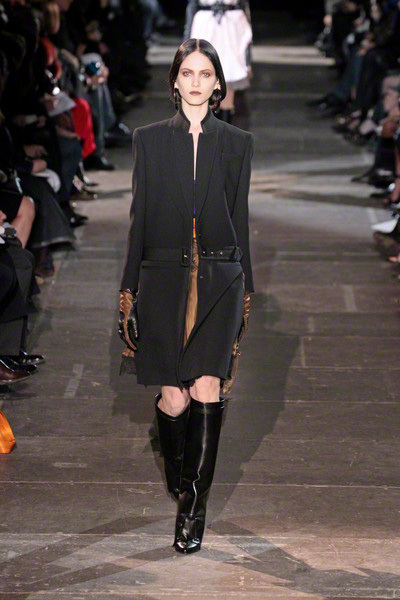 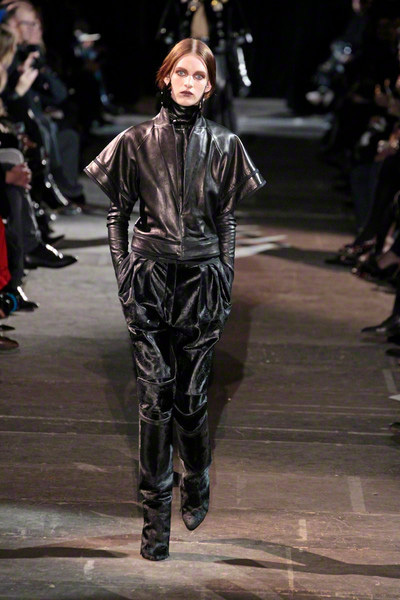 The Givenchy-collection was built on strength and confidence, with elements of equestrian motifs from the Seventies. 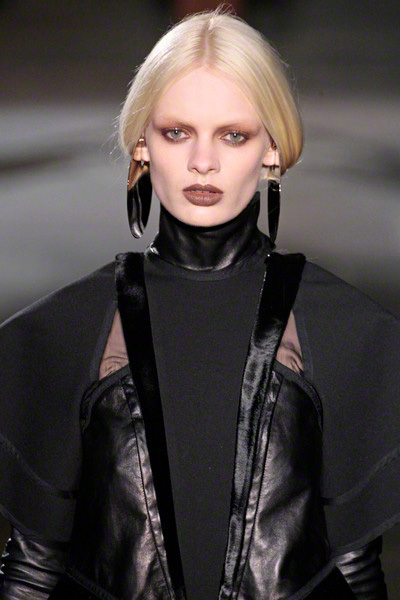 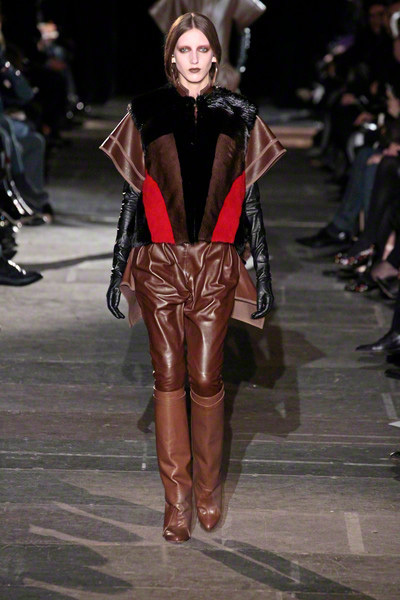 Riccardo Tisci’s signature tailoring came first with variations on riding jackets done in combinations of pony hair, fur and leather that were placed on precise panels. 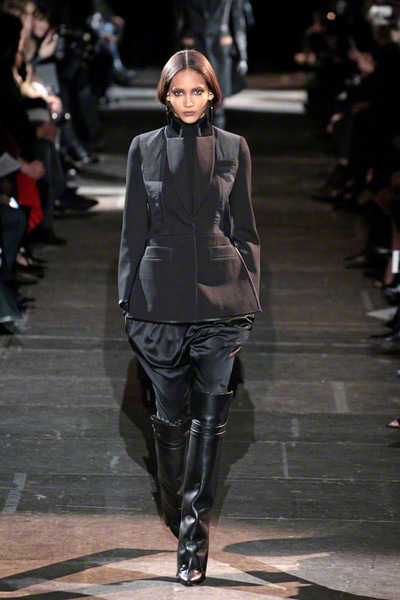 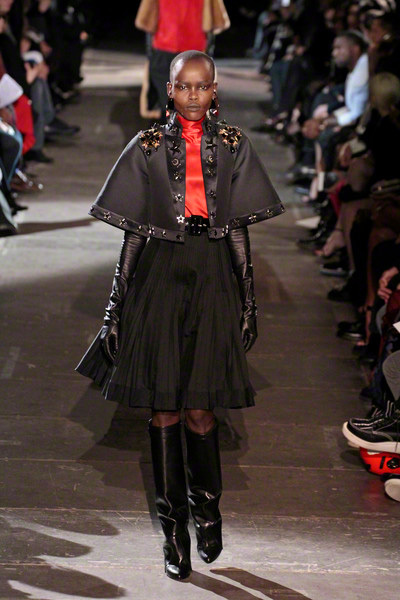 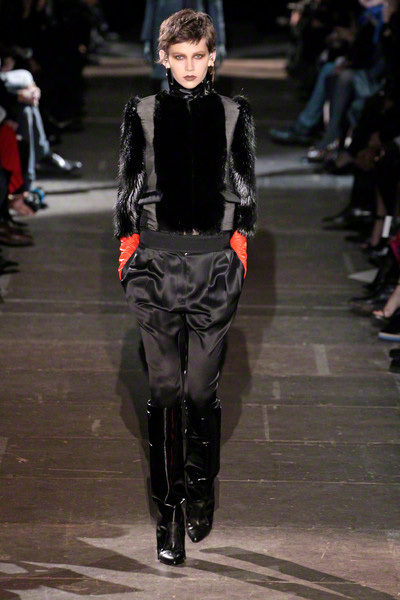 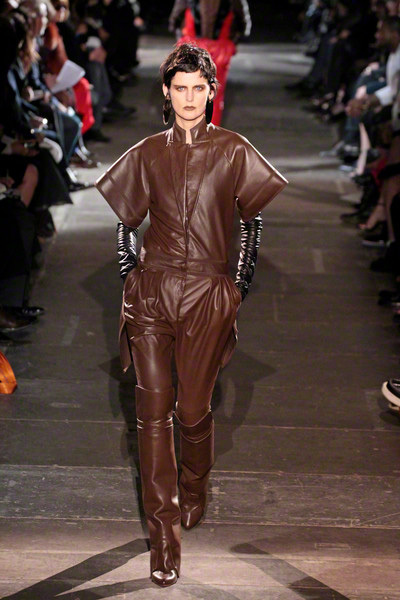 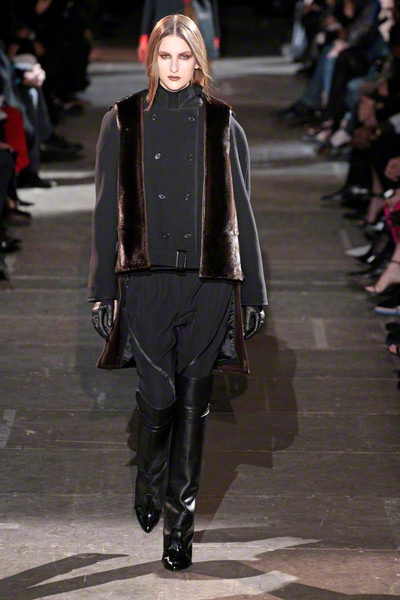 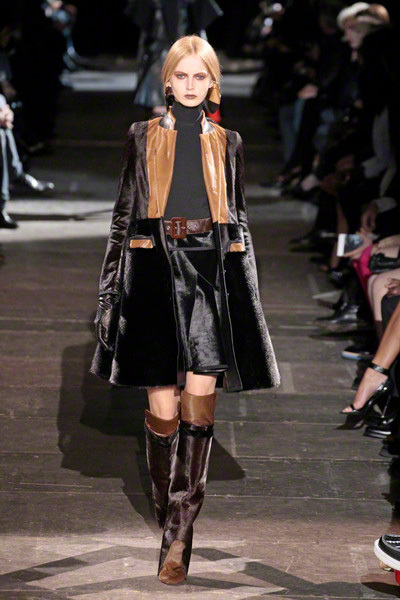 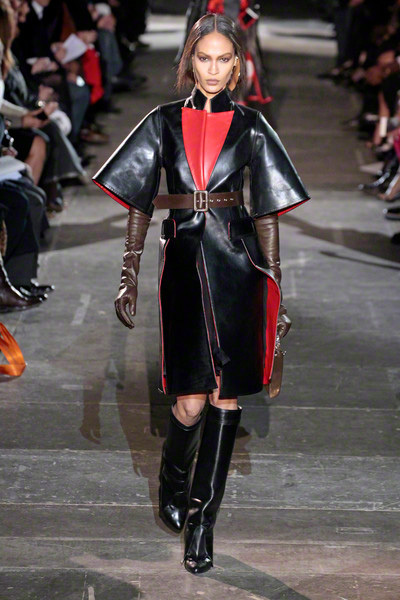 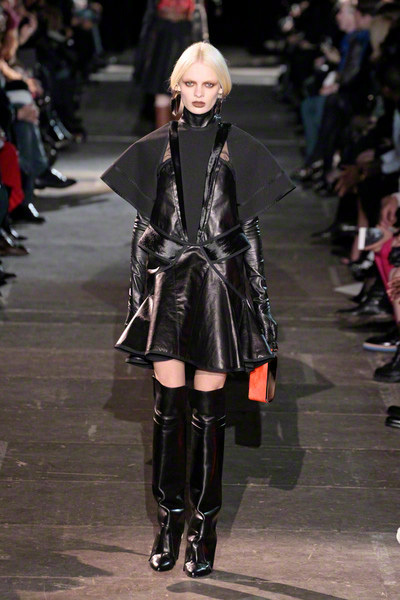 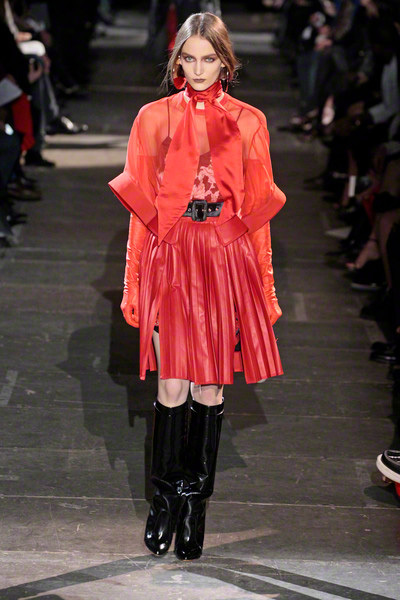 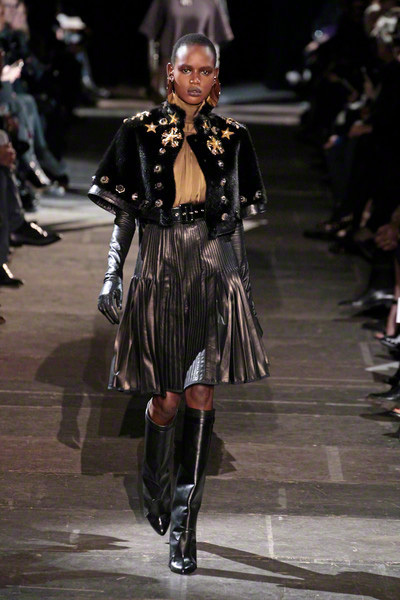 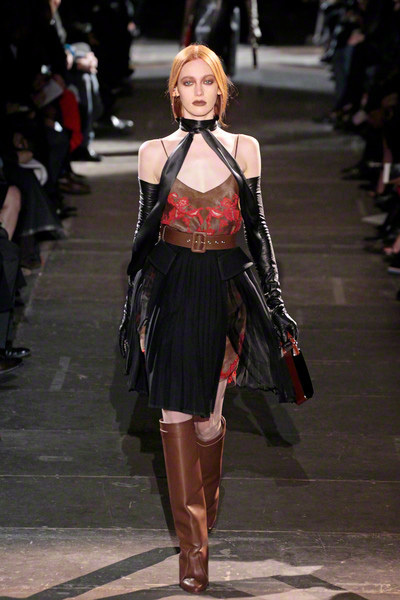 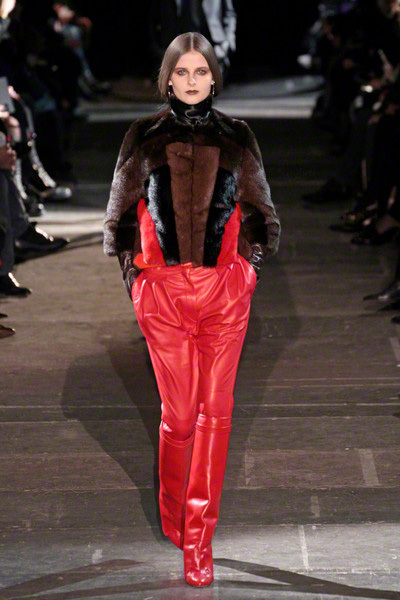 More elaborate outerwear showed Tisci’s leather and fur workmanship, with graphic, diagonal patches of red, black and brown fur spliced on a jacket. 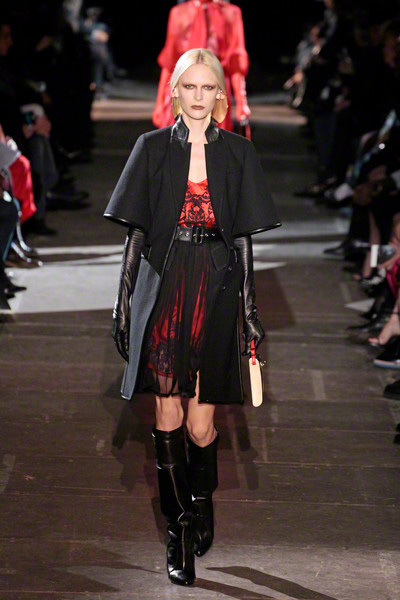 In the end the designer brought some lingerie-like dresses, soft and feminine with their lace-appliquéd, camisole-like tops and pleated skirts.